CTEK 3300 shown on right. CTEK is the OEM battery charger for Aston Martin, Ferrari, Porsche, Mercedes, Maybach, Bentley and other premium automobiles. Very easy to use (no mechanical or electrical knowledge necessary once it is attached the first time). This device lets you extend the life of your batter much much longer just by plugging it in. Don't get stuck ruining your drive when you go to find your battery is weak or dead. So good are the CTEK units, we use them around the shop to maintain all of our batteries, vehicles and equipment around the service center. These chargers quickly determine the condition of your battery... so you don't have to. Using the compact CTEK is truly as simple as connecting it to your battery, and leaving until charged (which in most cases is about an hour using the 3300), thats it! With intelligence and fail safes built in, there are no complex settings to know keeping you and your expensive batterie(s) safe. The CTEK battery unit can actually help your cars battery last much longer! Extremely compact and user friendly. Perfect for a weekend car, don't let a dead battery ruin your trip. Storing a car over the winter? Use CTEK to protect your battery and keep it from failing in the cold. Original equipment on many Exotic Car Manufactures who trust CTEK. Very safe and so easy to use! Keep your hard to reach BMW battery charged and your seat presets and Radio stations saved. With the correct charging, maintenance and care, batteries enjoy an extremely long service life and their original capacity is retained during this time. 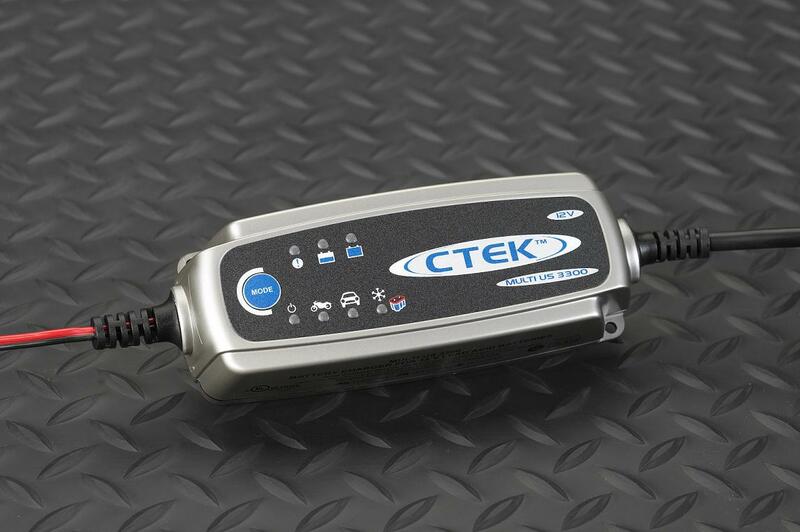 This particular CTEK is a popular choice, just call or email if you need another model or accessory, we carry the whole line!